Razors are the most popular method. There are many types of hair removal, ranging from temporary removal to a permanent reduction in hair, to completely permanent results. These hair removal methods differ greatly in their mechanism, advantages and disadvantages, and also in their cost. From razors to lasers, both women and men have a variety of options when it comes to the removal of unwanted hair. Shaving is the most commonly used method of hair removal. 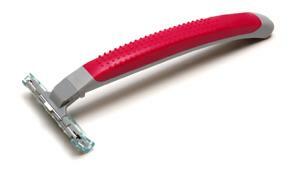 Razors are used to cut hairs just at or above the epidermis. When it comes to the actual razor, your choices include electric or disposable razors. Advantages: Some razors last longer than others and usually the least expensive are the least durable. The costs of shaving are minimal and include razors, razor cartridges and shaving cream. Some individuals opt for moisturizing soaps over shaving cream to lower costs even further. Disadvantages: Shaving is not the safest hair removal method, it is only the most common. You will be handling a sharp razor during the hair removal process. Moreover, using dull razors can actually make you more prone to nicks, cuts, and ingrown hairs. Still, for individuals who cannot afford a more permanent hair removal procedure, razors are the most readily available option, and they are nowhere near as messy as depilatory creams. Depilatory creams contain chemicals which dissolve hair just below the epidermis. Since depilatories affect the hair closer to the root than does shaving, the results can last several days longer. Advantages: The advantages of depilatory creams are that they are not terribly expensive and the regrowth of hair will not be as stubbly as that produced by shaving. Depilatories may also be a better choice for areas that boast coarser hair such as the armpits or the bikini area. Disadvantages: Unfortunately, most creams utilize harsh chemicals that can irritate the skin. Depilatory creams can also be a messy and time consuming affair, as you must leave the cream on the desired area for at least fifteen minutes. Lasers use light to destroy the hairs at their root. The laser is set to damage pigment cells which is why lasers are not effective on light-colored vellus hairs. It's for this reason that persons with darker complexions are not eligible for most forms of laser hair removal. Advantages: After several treatments, laser hair removal can result in a permanent reduction of hair. Moreover, the hair that grows in may be lighter in color or finer in texture. In terms of pain, the process of laser hair removal has been compared to being shot with a band-aid, but it cannot be classified as pain free. Disadvantages: There are many misconceptions regarding laser hair removal. The most common misconception is that laser hair removal produces permanent results. Laser hair removal can completely eradicate hair, but only after several treatments. Additionally, lasers only affect hairs that are in the active stage, but a hair follicle will produce more than one hair at a time. It may take months for hairs that are still growing within a follicle to be ready for more laser treatments. This is why laser hair removal is performed in many treatments over the course of several months. Laser hair removal is also expensive. Each treatment is usually several hundreds of dollars, and most patients will need about four treatments to achieve long lasting results. Advantages: Waxing produces longer results than both shaving and depilatory creams and can be a good option for those that are not fond of the inconvenience of constant shaving, nor the irritation that some depilatory creams produce. Even so, note that the silky feel waxing yields, often comes with a price. Disadvantages: One major disadvantage of waxing is the cost. It can be expensive depending on whether the procedure is performed by a salon professional or done at home with a waxing kit. Results will typically last about two weeks and over time your regrowth may be finer and slower. Waxing can also be painful. Additionally, hair must be at least a quarter of an inch long in order for it to adhere to the wax, but note that waxing can also lead to irritated skin and ingrown hairs. Threading uses two cotton threads intertwined that grab at hairs, pulling them out of the root. Pain, risks, and healing are similar to what you might expect when tweezing. Advantages: Threading is relativity quick, and while any hair removal involves some amount of discomfort, threading is not often associated with pain. This is a good choice for those that want to remove hair in a way that is relatively quick and easy. Disadvantages: Unfortunately, threading is generally preferred for small areas such as the eyebrows so you won't be able to employ this method for larger areas of the body. Threading produces results and a regrowth period similar to waxing. It is usually performed by a professional as there is great skill involved. With electrolysis a needle is used to deliver a short blast of electric current into the hair follicle, thus delivering permanent hair removal. Advantages: The main advantage of electrolysis is that it provides permanent results. However, this procedure should be performed by a professional. Electric tweezers are not the same as electrolysis and should not be expected to produce similar results. The procedure is also much less expensive than laser hair removal, and typically requires fewer follow up visits. Disadvantages: Unfortunately, during electrolysis the hairs are removed one at a time which is a much slower process than laser hair removal. Hair removal is a highly individualized field. Costs and hair types will usually dictate your preferred method. Individuals who are highly prone to ingrown hairs or folliculitis may need to eventually seek out the more permanent hair removal methods. Sensitive skin types will also meet their fair share of challenges. When it comes to the more complicated methods of hair removal, it is always best to avoid at-home attempts in favor of trained professional.